Sagartoki is more than a restaurant, and more than a bar… it is a meeting place to enjoy with the five senses. Sagartoki is a bar with award-winning pintxos; a traditional Spanish snack of bite-size gems created by Senén González, where innovation is combined with the flavours of long-held traditions. It is also a restaurant, modern and surprising, with recipes in which premium raw materials are paramount, where you can enjoy first class cocktails created by Raúl Fernández (Raúl FM). But Sagartoki is not just about food and drink. The best DJs and a huge collection of vinyl guarantee great music; sushi and cocktails provide an entertaining live show, all of which creates a special ambience that gives Sagartoki a unique and spontaneous character that is an experience for all five senses. Senén González is a perfectionist chef. His curiosity brought him into the kitchen of his parents’ restaurant where he sought to understand the reason for everything. Something that endures over time and continues to generate new ideas, creating new textures and finding ways to optimise the preparation of their recipes. 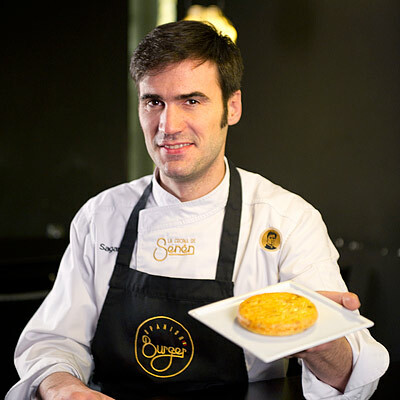 Senén’s cuisine consists of the flavours he grew up with (vegetables, meat, fish, etc. ); he takes these time-honoured dishes, adapts them aesthetically and gives them new textures while maintaining the origin of those memories. Because if the process of preparing a dish from its origin is understood, innovation can take place without losing identity. 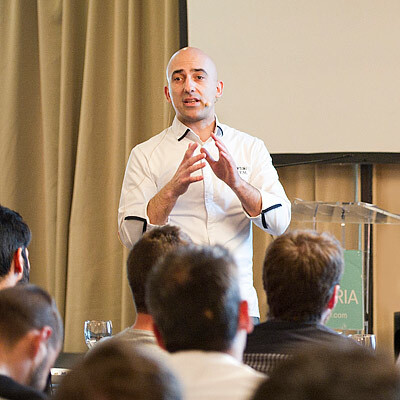 Raúl has worked in hospitality since he was a child and he is well-known from his career in leading establishments. 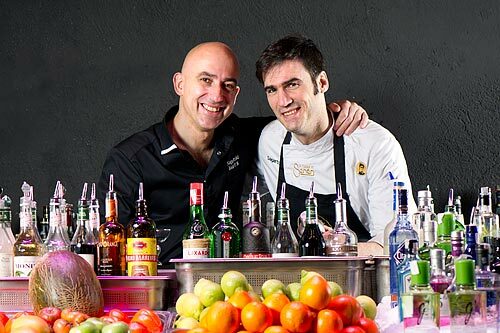 He is one of the best bartenders in Spain and his creativity is based on an innate ability to mix flavours and aromas that result in creations that engage and delight his customers. But Raúl is hooked on Sagartoki. He has put his heart and soul into this project and it is a real pleasure for customers to be carried away by the way he engages them a universe in which every dish looks different for each customer and where each cocktail has its own name.